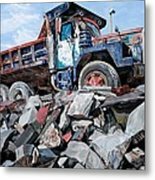 Slate Truck is a painting by Chrissey Dittus which was uploaded on November 9th, 2014. 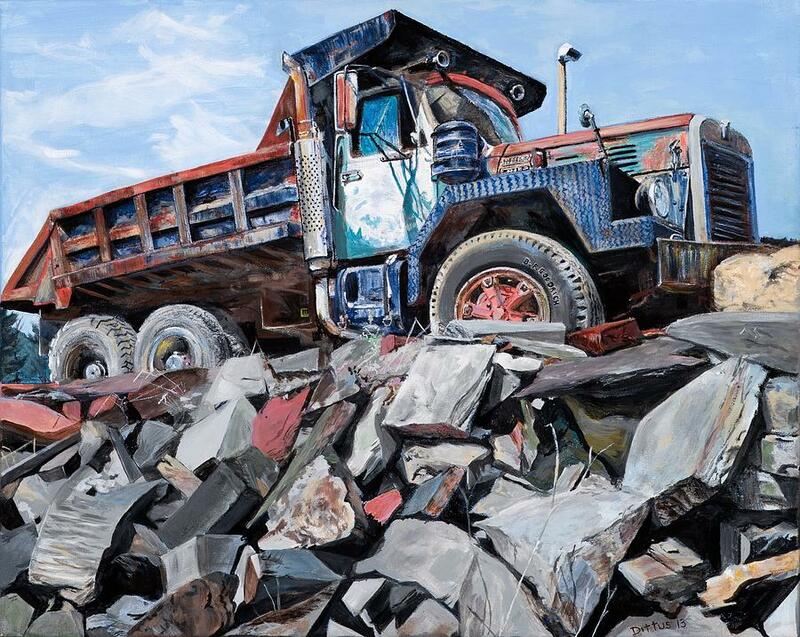 This painting was created for the Slate Valley Museum in Granville, NY. They put out a call to artists for the National "Slate as Muse" exhibit for summer 2014. 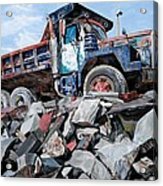 My husband and I drove around Granville so I could take photos of slate and I luckily found this slate truck sitting on a pile of slate. I am proud to say it was excepted into the exhibit. To me that truck was a dream, but then I grew up driving farm machinery since I was 12. Yeah, Carol, I was told that Granville, NY is the only location that has red slate. Glad to "take you back" Joe. I heard that from another gentleman today who drove a similar truck and how difficult it was to drive. 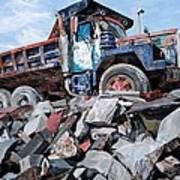 I used to drive a truck just like that one-- a 50 ton rock quarry truck in Fulton County Illinois. This takes me back about 40 years--thanks for the art of it all. Thanks for your comment Joe!! This is an outstanding painting and celebrates our local slate so well. Thanks Carol. Yes, we have beautiful slate in NYS! !